Please note: The ring in the photos is sold. As each diamond is unique in its raw, uncut form, the photos are used to give you an idea of how your ring can appear when built. The ring in the photos is constructed of 18k white gold. The centrepiece diamond in this ring is approximately 7mm in length. It has a naturally-occurring, softly faceted face, and a slightly satin texture. Diamonds of this appearance are difficult to come by. This stone is long, and relatively flat. 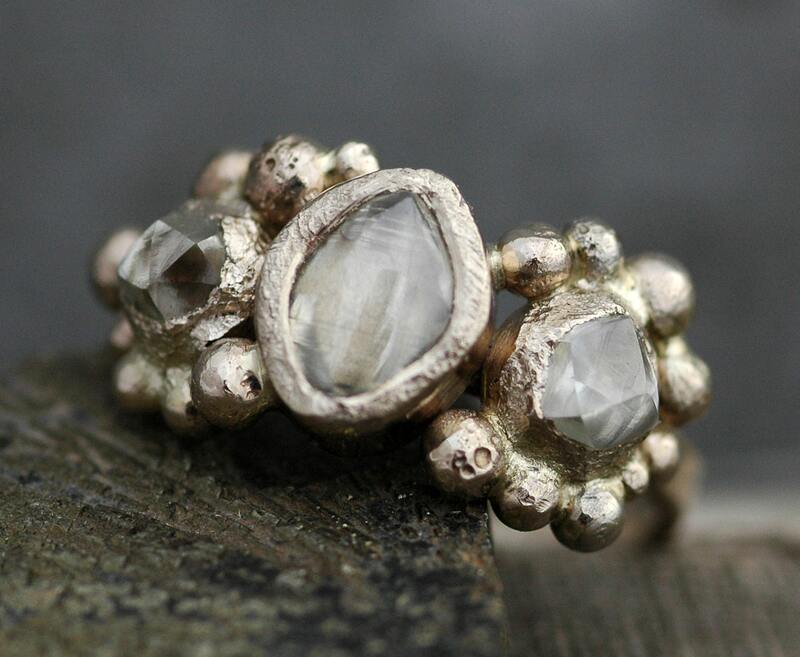 The ring you will be purchasing with this listing includes a centre stone of the same quality as the flanking stones, but will be about 5-6mm long. It will be the same clarity as the smaller, flanking stones. 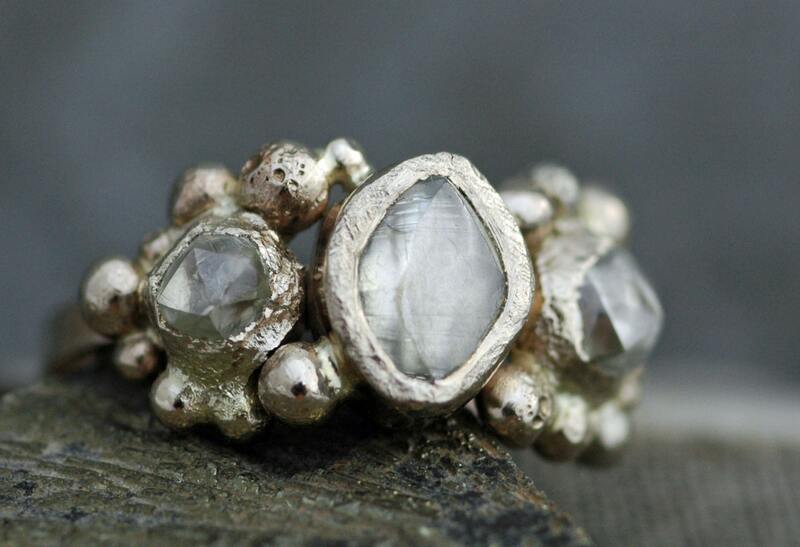 Want to customize this ring? Larger centre stones are available, at an additional cost. 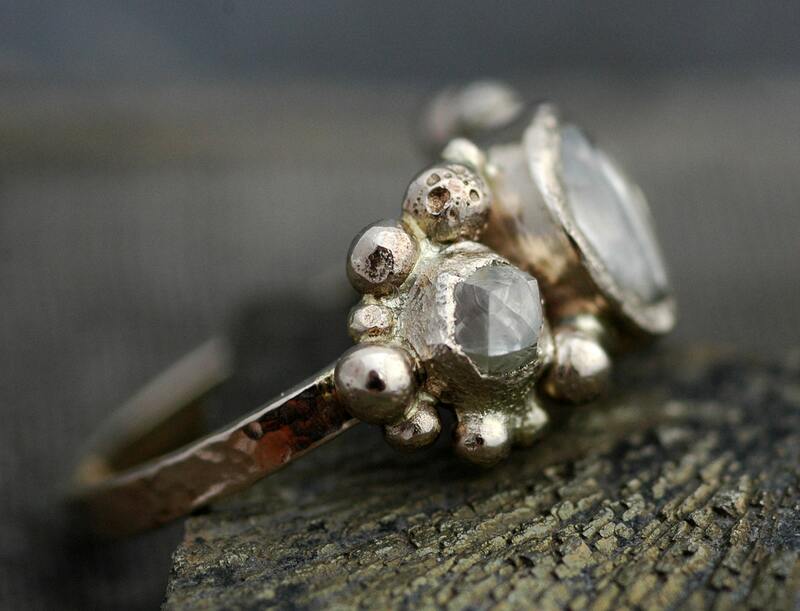 I can also include tube-set melee (tiny) diamonds in among the granulation (gold balls). 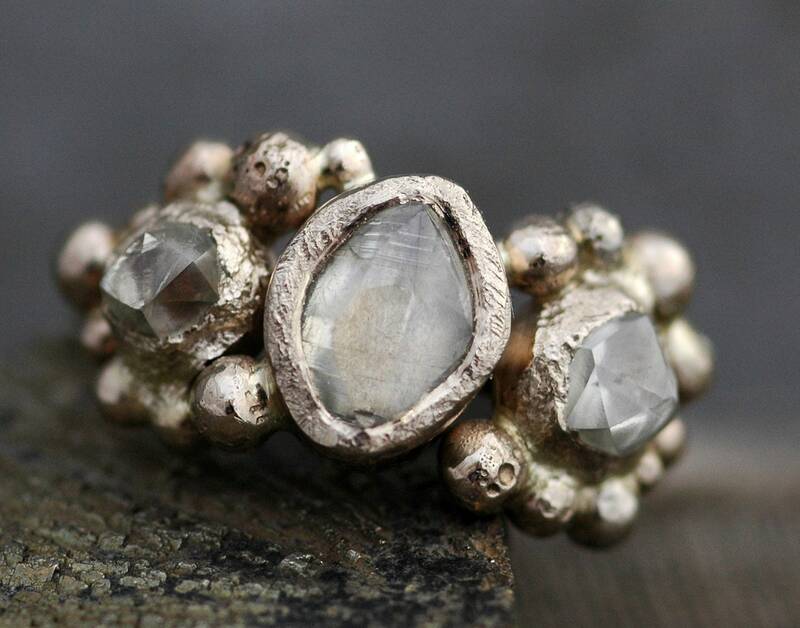 It is possible to build this ring with more granulation, or less. It is also possible to create the granulation in mixed colours of gold. 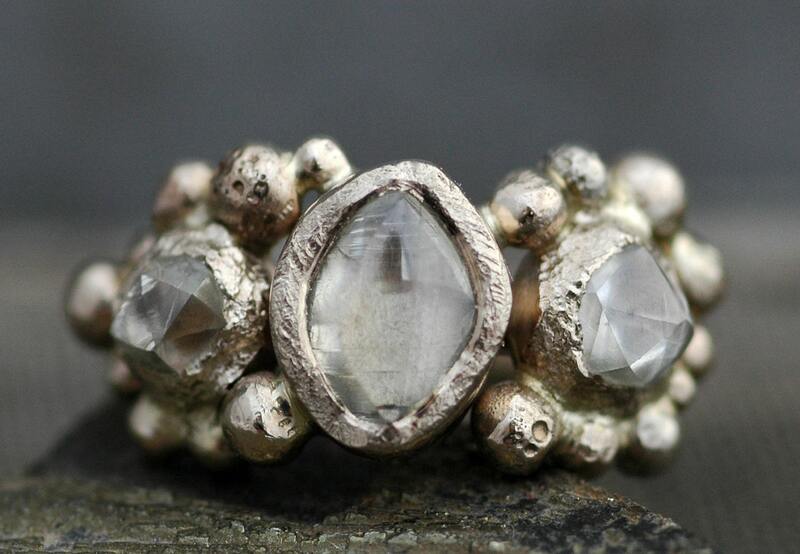 I have a gorgeous selection of top-quality brilliant cut diamonds that can also be used in this ring. Please ensure you get in touch with me prior to purchasing, should you wish the ring to have a centre diamond larger than about 6mm long, or any of the other customizations mentioned here.